Not all chemical peels are created equal and some can be damaging to skin. 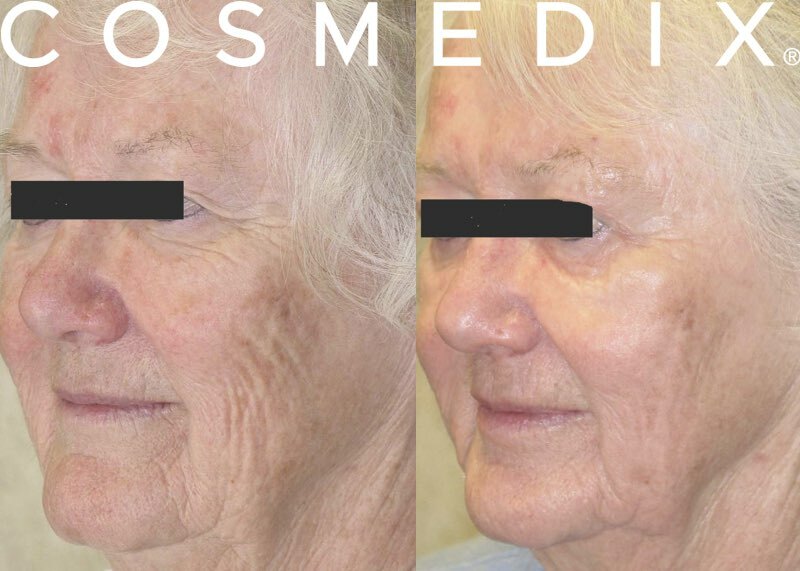 We specialise in Metabolic Peels from CosMedix, incorporating Chirally Correct Acids and encapsulated Vitamin A to stimulate renewal, as opposed to forcing repair through wounding the skin. Medico Beauty Institute offers Level 1 & 2 metabolic skin peels training to Advanced Skin Facialists, Aestheticians, Nurses and Doctors. For those practitioners who are looking for a safe and versatile peel system that is suitable for all Fitzpatrick skin types and all skin conditions. Without causing excessive trauma, inflammation or downtime and therefore a more long term approach to skin health and rejuvenation. You will be able to identify suitable peeling solutions based on key ingredients and pH level, in addition to correctly choosing custom peels suited to a clients skin needs and a not a one box ticks all approach. During this course of training you will learn CosMedix Level 1 & 2 metabolic peels including a antioxidant resurfacing treatments with acids, enzymes and antioxidants, plus an acid-free Retinol and Vitamin C peel and combination peels with Retinol, AHA’s and BHA for the treatment of acne. Training is split into two stages – online theory education and one full day of practical training. With the option to complete one additional full day practical training in Level 3 peels as part of your progressive training programme. Learn more about the Metabolic Peels within the range. During this course you will study the different peel formulations within the CosMedix Level 1 & 2 category. Including a antioxidant resurfacing treatments using Chirally Correct acids, enzymes and antioxidants. Plus a combination peel with encapsulated Retinol, AHA’s and BHA in a leave-on formula and an acid-free Vitamin A + C peel with enzymes. You will learn about the peel ingredients, percentages and pH of the formulations. You will also learn about the peel prep or pre-peel skin priming protocol, as well as the post-peel after care management protocol. We will teach the indications and contraindications to treatment, as well as the potential contra-actions. Why should I offer Metabolic Peels? Level 1 & 2 Metabolic Peels can be performed without any prior prep or pre-peel priming. Making them an excellent choice for clients who are not yet committed to a long term home care programme. Often clients who are not ready to commit to investing in products still wish to have results driven treatments. If you’re only able to offer peels that require prep, then you risk losing the client and ultimately not being able to provide the results they are looking for. Equally Metabolic Peels work by stimulating renewal within the skin using purified acids and encapsulated Retinol. This is a much more sophisticated approach to skin peeling, compared to relying on acids to burn and wound the skin. Note: Level 1 & 2 indicates the depth of peel, ranging from superficial to moderate depth peel. It does not indicate a level of qualification. If you want to learn more about the Metabolic Peels before committing to an opening order, we also run a Metabolic Peels Taster Workshop to give an overview of the brand, products and peels. This is charged at £55+VAT per person. As prerequisite you be required to provide evidence of your qualification. You will also need to complete and pass the online learning and assessment prior to coming to practical training. Once complete we recommend that you build confidence using the peels in clinic for a minimum of 6-8 weeks before progressing onto Level 3 metabolic peel training.